With their first new album in 20 years just released to sterling reviews - albeit featuring material recorded a decade earlier - Pink Floyd remain one of the UK's most prestigious acts of all time. And with 2015 marking the bands 50th year in the game, despite line up changes, deaths, acrimonious splits, amicable reunions and just about everything else that could happen to a rock band across such a time frame, the majority of fans have stayed loyal and continue to delight in the glorious sound of the Floyd, from whatever era the sound in question may emanate from. 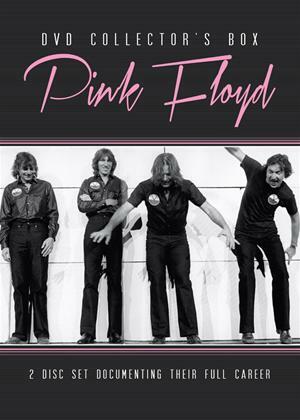 This set celebrates this huge achievement and features two separate documentary films which reveal the story of Pink Floyd from a number of different but fascinating and unique angles. With both programmes including contributions from those who have known the band best, plus interviews with the members themselves - both past and present - sumptuous archive footage and a whole bunch of the music that made it all worthwhile, this box will delight and enthral all those who remain in awe of an act who are arguably the greatest rock band of all time.